Comes with everything you need to rebuild your control arm ball joint on your 944. Please select the kit you need for your 944 we offer a single arm kit and a complete kit for both arms. 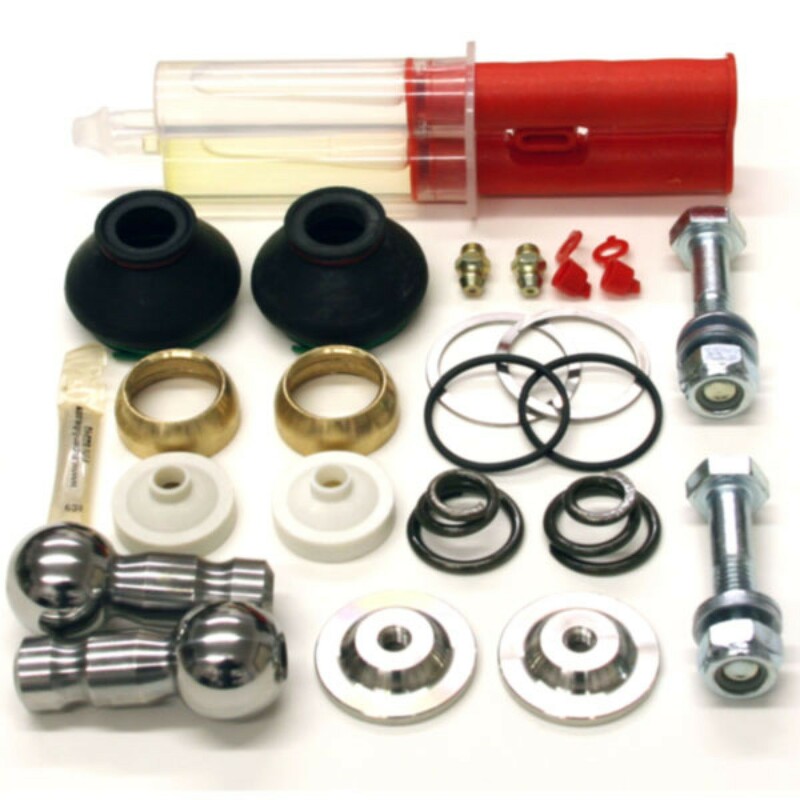 Ball joint rebuild kit for your Porsche 944.This is for ALL 944's with the aluminum lower control arms 85/2 to 1991. This ball joint kit incorporates solid aluminum bronze internal bushings, forged chromolly ball pins and new lower plates with grease fittings.